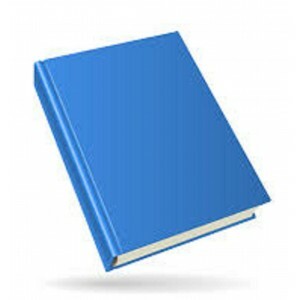 About the book: The book contains Preliminary Tenures of Posting & Transfer.. 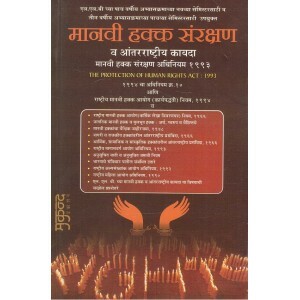 This book contains the Constitution of India in Marathi. the author has written it in Question-An.. 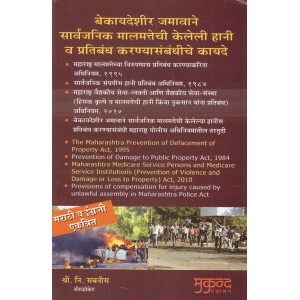 Contents: Mumbai Police Act Mumbai Jugar Prohibition Act Civil Rights P..
Mukund Prakashan's Administrative Law [Marathi] by Adv. R. R. Tipnis. It is useful for L.L.B.. 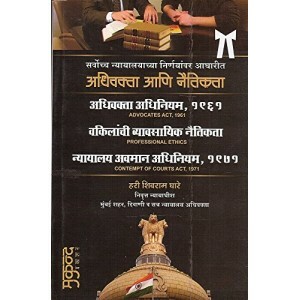 Contents: Advocates and Ethics [ Depending On Supreme Court Decisions] Advocates Act.. 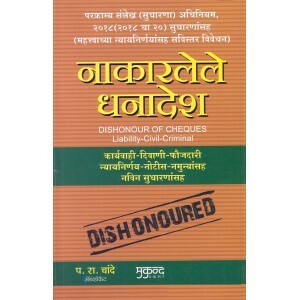 This is a small guide containing Government of Bombay Judicial Department's Bailiff's Manual as.. 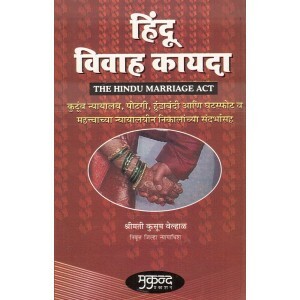 This Book is related to all Acts & Rules of Child Justice, Protection, Marriage, Adoption &am.. 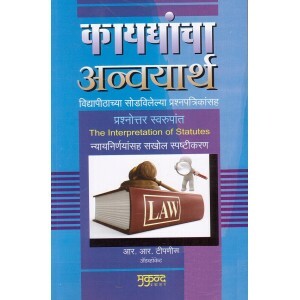 This book contains Question and Answers on The Civil Procedure Code (CPC),1908 in Marathi Langu.. 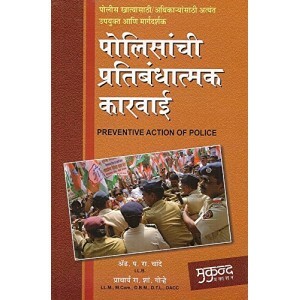 The book contains complete Sections, Mumbai High Court Criminal Manual & Mumbai Police Manu.. 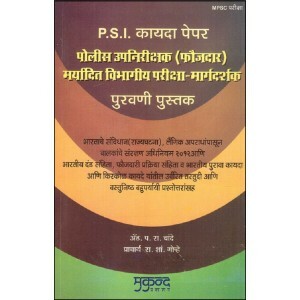 This is a book on Collector Office Procedure (QA) by Adv. 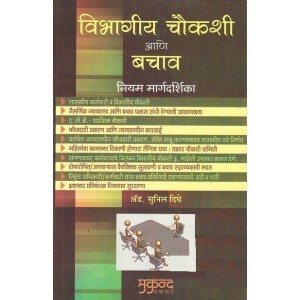 Vijay Joshi, Mukund Prakashan. It Con.. 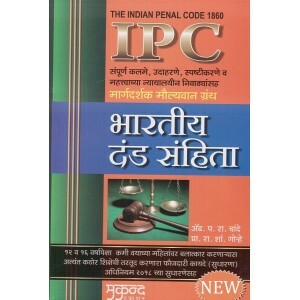 Contents: Indian Penal Code, 1860 Criminal Procedure Code, 1973 Indian Eviden.. This book contains two parts. 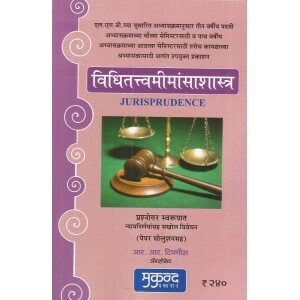 First Part contains Chapters in Text Format & Second Part is in..
Mukund Prakashan's Deemed Conveyance [Marathi] by Hari Shivram Ghare ..
Mukund Prakashan's Departmental Enquiry & Safety [Marathi] Adv. Sunil Dighe With Governme..
Mukund Prakashan's Dept. 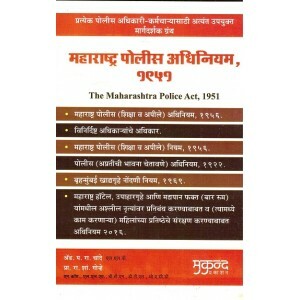 Police Exam (QA) (Marathi) ..
Mukund Prakashan's Descipline & Appeal Act, 1979 (Marathi) ..
Mukund Prakashan's Election Laws (Marathi) ..
Family Law - II [कौटुंबिक कायदे - दोन (हिंदू कायदे मूळ कायदे व प्रश्नोत्तरे)] Marathi .. 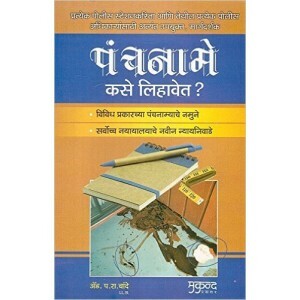 This is a question and answer and textbook on Family Laws Part I in Marathi. 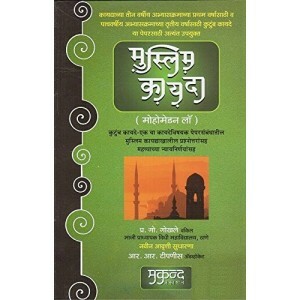 It covers the syllab..
Mukund Prakashan's FIR (Marathi) .. Contents : Crime Investgations Science Procedures. 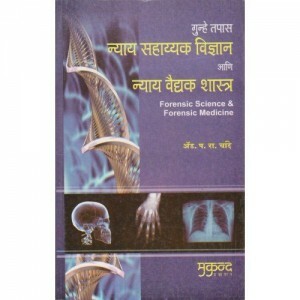 Forensic Science. Fo.. 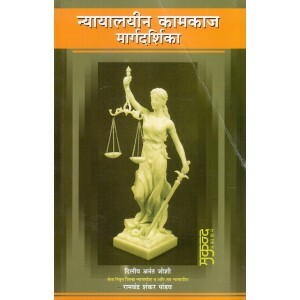 This is a book on Guide to Civil Criminal Courts Procedure by Dilip Anant Joshi, Ramchandra Shank..
Mukund Prakashan's How to Frame Charge (Marathi) by Adv. 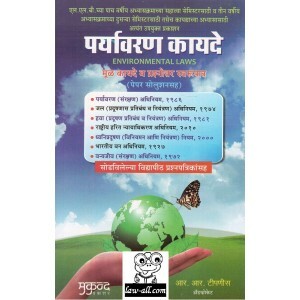 P. R. Chande This Book is useful for.. 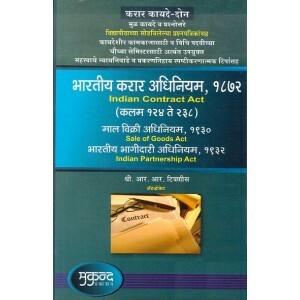 This book contains Indian Contract Act, 1872 [Sections 124 to 238], Sale of Goods Act, 1930 & In..
Indian Contract Act [Sections 1 to 75] & Specific Relief Act, 1963 .. 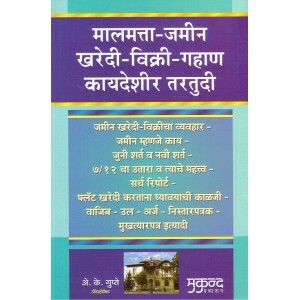 This book is written by Pune's ten Authors like Adv. S. V. Kulkarani, Adv. 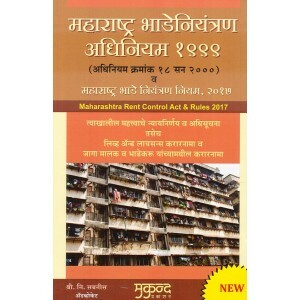 Vijaya V. Gadagkar, Ad.. 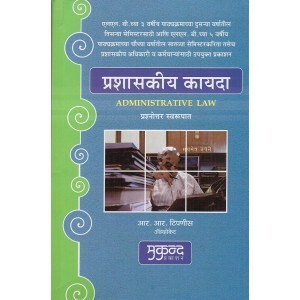 The book contains Court Claims, Appeals, Revision, Reviews & with different Forms etc.. .. This is a Question and Answer book on the Law of Torts and Consumer Protection Act for Law Studen.. 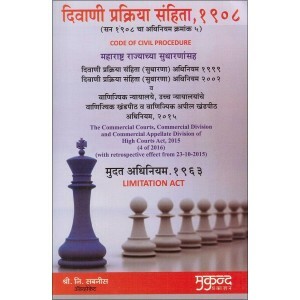 This book contains the legal framework against the cruelty to husband by wife with reference to..
About the book: This book gives Information about taking care of Sale & Puchase of La..
Legal Language & Legal Writing book with Solved Question Papers. It Contains : Part -.. 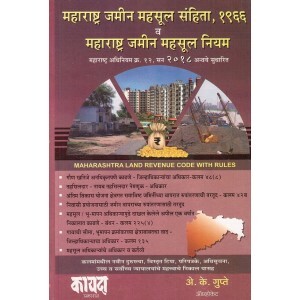 This book contains all the Maharashtra Civil Services Rules in Marathi. It is a useful reference boo.. 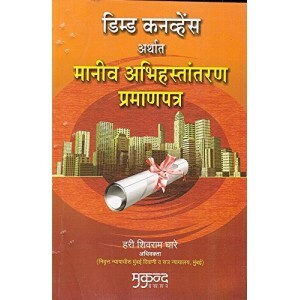 The book contains Constitution, Powers, Functions of Councils. Registration of Prac..
Maharashtra Prevention & Eradicated of Human Sacrifice & Other Inhuman , Evil & Aghor.. This Book contains Pre - Conception & Pre - Natal Diagnostic Techniques (Prohibition of .. 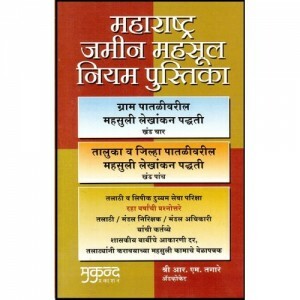 This book has been written in simple and easy-to-understand marathi language. It covers all the p.. 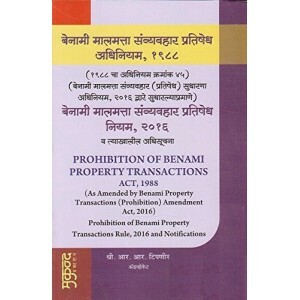 Contents of the Book: पोलिसांच्या जबाबदाऱ्या प्रतिबंधात्मक कारवाई व्याप्ती .. Contents : The Right to Information, 2005 [ 22 of 2005]. Preliminary. 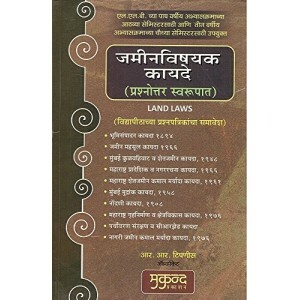 R..
Non-Agricultural Land [ Residence, Industrial, Commerce Act and Rules, Non-Agricultural Land Re.. 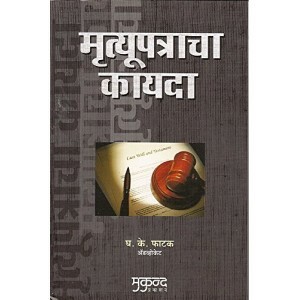 The Arbitration Conciliation Act, 1996 (Marathi) ..
Mukund Prakashan's The Cross Examination | Ulat Tapasani [Marathi], 2016 Edn Intro.. 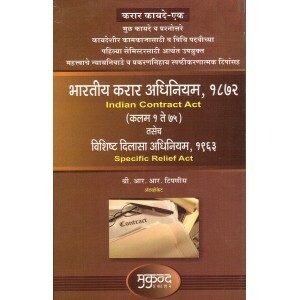 Contents : Society Registration Act,1850 and Maharashtra Act,1971. Charity Co..
About The Book: This Book includes The Provisions Relating to the Code of Criminal Pr.. 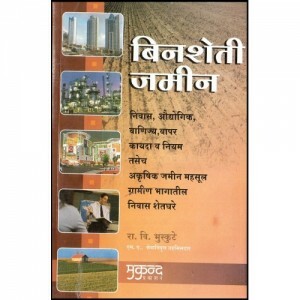 This is a book on गुन्हे अन्वेषण पोलीस तपासाचे मंत्र आणि तंत्र - मुंबई पोलीस नियमावली , भा.. 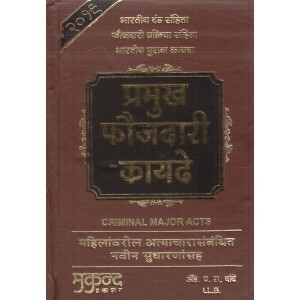 This book contains Question and Answers on The Criminal Procedure Code (Cr.P.C),1908 in Marathi Lang..